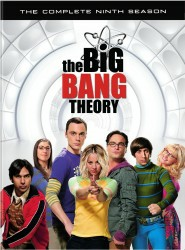 The bonus features on the Season 9 box-sets include "The Big Bang Theory Gives Back", "BBT: The Big 200", "Love IS Rocket Science", "#Just Ask BBT: If I Had To Go To Mars..." and "#Just Ask BBT: Who Will Get The Couch?" featurettes; footage of The Big Bang Theory's 2015 Comic-Con Panel, and a Gag Reel. The Big Bang Theory returns with its tenth season premiere, "The Congual Conjecture", next Monday, September 19 at 8/7c on CBS.